Free improvisation isn't always balls-to-the-wall, room clearing caterwauling. Sometimes it can sound like composed works, other times it sounds like a few introspective minds going at it at once. The session, organized by guitarist Jeff Platz (he doesn't really "lead" it, since it's a spontaneous session) leans closer to the latter scenario. His guitar is out front, clean and rather subdued. With him is Daniel Carter (also of Test, Other Dimensions in Music and groups under his own name), who alternates saxophones, trumpet and clarinet. 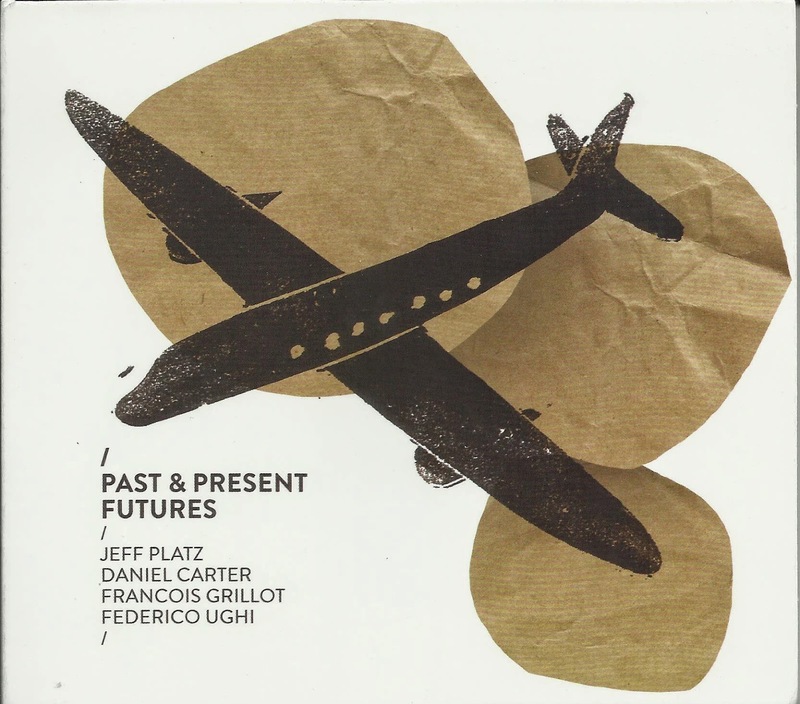 Bassist Francois Grillot and drummer Federic Ughi had never played with Platz prior to this session and for some of the album, at times they seem like they're figuring out how to get acquainted with one another. Sometimes the rhythm section doesn't flow with the melodic instruments, or even move together in parallel lines, a good sign in free improv situations. Yet there are tracks where rapport develops. Carter's soprano sax on "Evolve" sounds like it's playing a composed part, while Grillot riffs in 3/4. Eventually the bass locks in and briefly joins Platz in a duet. "Distance" also takes a strange and intriguing path. Carter begins playing a pensive clarinet lead over bowed bass, before things open up, with Platz playing through some effects that take his tone closer to one of Sun Ra's space keyboards. It's hard to pick up on all of Past & Present Futures in a few listens. But therein lies the advantage it has over a life performance: the chance to revisit it and discover all the nuances of it. 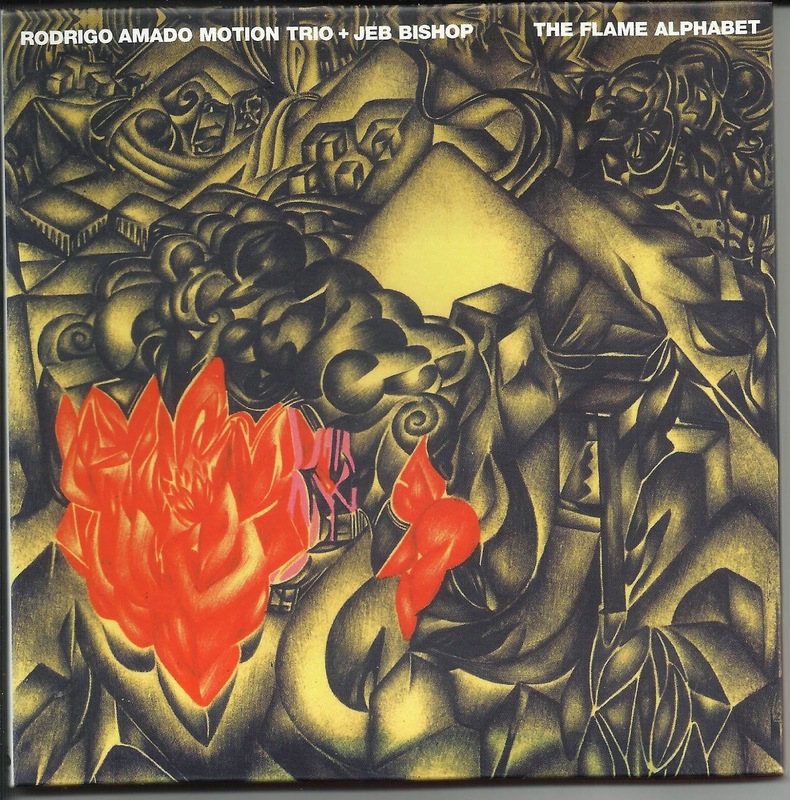 All four of the musicians on The Flame Alphabet receive writing credits on all four tracks, implying another set of free improvisations. However they move together like they're following some sort of pre-set structure. Leader Amado's tenor saxophone blends with guest trombonist Jeb Bishop (of numerous Chicago projects). Amado blows strong, thoughtful lines that reach a frenzied wail at times, but often stay on the ground, spreading around a series of pointillist lines around that are extremely engaging. The rhythm section really keeps the whole thing moving in top gear. Drummer Gabriel Ferrandini can easily switch between quiet percussives and explosions that spread across his whole kit. The title track begins with a lengthy duet between him and Amado which sets the bar high. One track later on "First Light" Bishop and Ferrandini get the opening statement. Miguel Mira plays cello, which recalls Abdul Wadud's work with Julius Hemphill. But the way Mira approaches his instrument makes it sound like a bass, in terms of depth that it brings to the session. Somewhere in a pile of discs, I have a live Rodrigo Amado CD that came in the mail with this one. I would've reviewed it in tandem, but I felt like this review couldn't wait any longer since they've been out for awhile. Suffice to say that I'm looking forward to that one too.